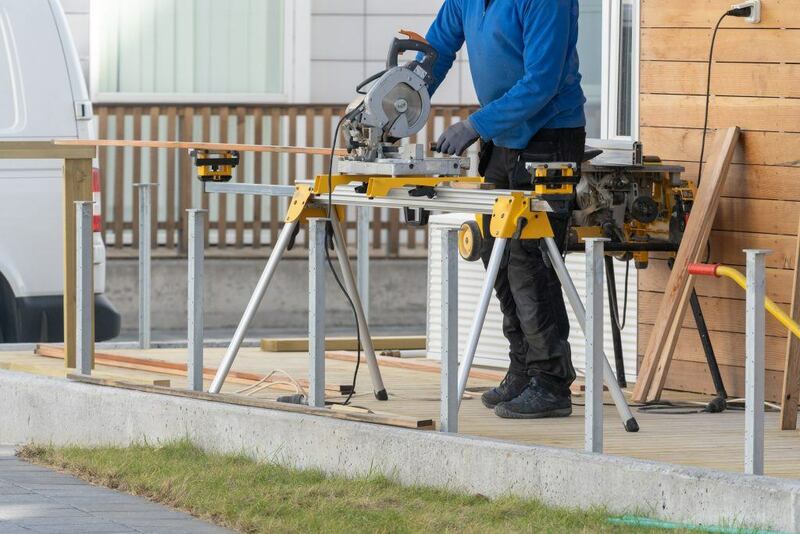 Here are a few things you need to consider when choosing the best miter saw stand that fits your work at home or for business. 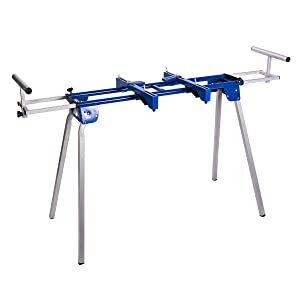 There are five main types of miter saw stand and each has its respective pros and cons. Works stand with adjustable heights adds greater versatility. A proper working height will ensure better work performance and less stress. The important thing for any miter saw stand is its ability to support heavy weights. Aside from the weight of the miter saw, it must also be able to accommodate the weight of the workpiece. These workbenches can be made from plastic, wood or metal. Each material composition has its corresponding pros and cons. For instance, workbenches made from plastic is lightweight and easy to move. However, they can’t hold much weight compared to wood and metal types. Some concerns regarding workbenches are the difficulty of storing and carrying them around. Hence, a foldable saw horse came to existence. 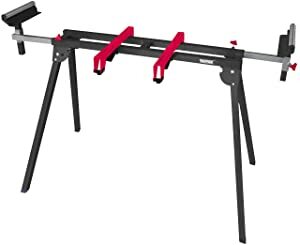 The folding feature gives ease in storing and carrying the sawhorse around. Some units of saw horses have storage spaces included in the package. This is not a necessary feature but it comes quite useful for many users for it gives more convenience. 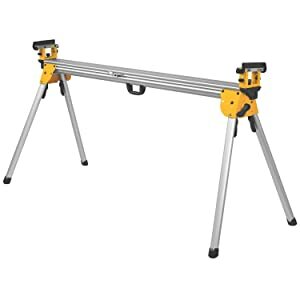 I love the gravity-rise system of this workbench as it allows you to set up and break down the stand without removing the saw. 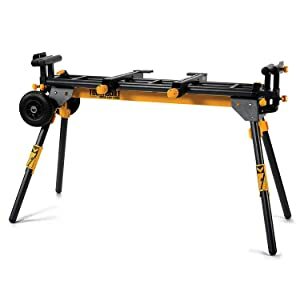 It has a rubberized placement where the saw rest to avoid any damages to the bench and the saw. 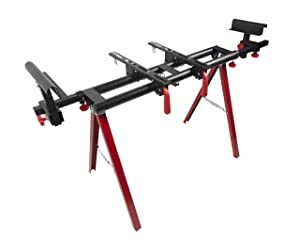 Likewise, built-in extension support enables the bench to accommodate 16 feet of the workpiece. This is a great tool for investment. I wish they can improve the durability of the clamp to lock the table. One great feature I like about this bench is you can easily mount your miter saw on it. It can also accommodate saw even without a standard hole pattern. This unit is easy to set up and keep because its legs are spring-loaded. Moreover, it is stock outrigger support enables to support long workpieces. The height adjustment of this workbench comes really smooth. Some experienced that the support arm doesn’t quite fit into the main rail. This saw stand is actually a good size. Tightening knobs are good and really holds. There is some slop in the side brackets but it is totally fixable. You just need to use channel locks to squeeze the brackets together. Overall construction is tough and rigid. The few slops in the side of the bracket, but still fixable. This is great saw stand for an investment. The problem on collapsing, it can be fixed by tightening the screw under the black plastic hood along the mid bar of the table. Likewise, you can also spray some WD40 on the rotating mechanism to make it smoother. Overall construction is rigid and reliable. Very portable and convenient. What we don't like is the tightening of the screw and the breakups of the whole set up, but these things can be fixed as stated above. 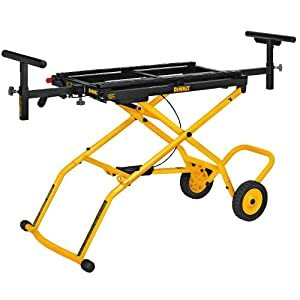 This saw stand has large wheels that make it effortless to roll up and down the stairs. Its support structure is well-built and doesn't wobble. Right out from the box, it takes less than 10 minutes to set up. Wish the height was adjustable, but overall, I am satisfied with the great quality. Hassle free in setting up and you can use it directly after. I love this because it doesn’t eat up much space and very lightweight. Overall built is decent and reliable. Unfortunately, it doesn’t have a leveling mechanism on surfaces that are not plain. This saw stand is amazingly multi-functional. 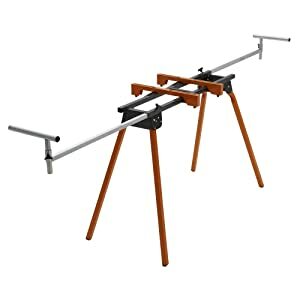 It is a good stand for any types of saws, sanders, and planers. The tubular steel it has is sturdy and rigid. Not to mention they have included a universal quick mount and roller support for this stand. Indeed worth the price. Some components are made from plastic but they are decent. 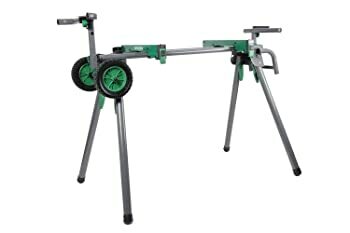 The supports on this saw stand is easy to adjust in order to have balance workstation. It is able to firmly hold a 12’ 1x4 workpiece with wobbling. The stand’s left and right extension supports have stops and an adjustment knob. Overall, it has a rugged and rigid construction. Some parts are made from plastic, but they are decently strong. 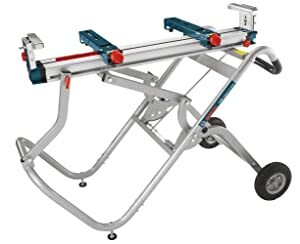 It’s a great miter saw stand with lots of features. The extendable length up to 60 inches and the adjustable height gives more work versatility. Likewise, its quick-mounting clamp for the miter saw works perfectly fine. Overall built is rugged and rigid. A suggestion would be an anti-slip feet pad and leveling features in case the ground is not plain. The assembly for this stand takes around 30 minutes at maximum, it could be faster if you are used to this stuff. Durable parts and overall construction is sleek and strong. The adjustments of the legs and locks are working smoothly. The levers to collapse the legs seems to be in an awkward place but works really fine.